CRB Analyse Service GmbH of Hardegsen/Germany was founded in 1992 and is an independent, privately owned DAP-accredited testing laboratory. It was already accredited in 1995. 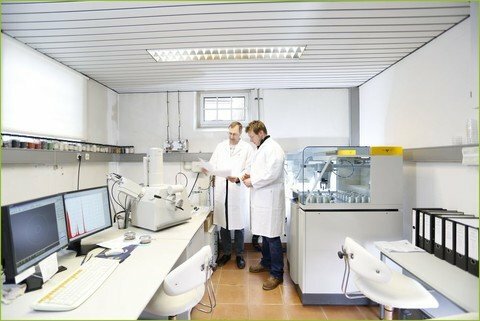 The management is held by the founding partner Ralf Klaus Blecher, head of laboratory Dr. Stefan Pierdzig is responsible for the scientific area. 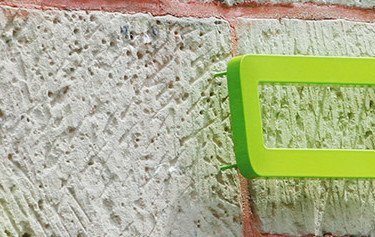 The company currently employs a staff of 11 employees working in the divisions laboratory – essentially Scanning electron microscopy (SEM) and X-ray fluorescence analysis (XRF) – as well as management and administration. 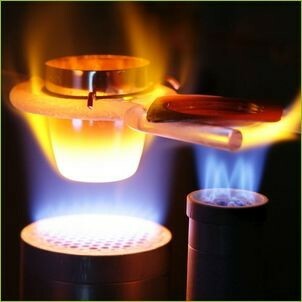 In the field of raw material and processed materials analyses we work primarily for national and international companies especially for the refractory, ceramics, glass and cement industry. 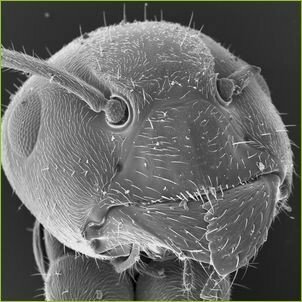 Our customers in the field of scanning electron microscopy are the public authorities, engineering offices, asbestos removal businesses, housing associations and laboratories as well as private customers. Our customers have to be able to rely on our analyses at all times. In order to ensure this aim we already introduced a quality management system in the mid 90’s which is implemented and lived out consistently. It is the basis of our accreditation according to DIN EN ISO/IEC 17025 which also meets the requirements of DIN ISO 9001. 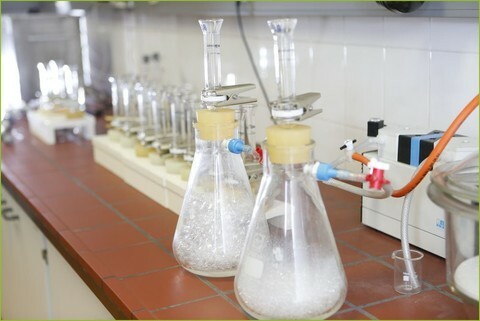 We regularly participate in collaborative studies and interlaboratory tests as a means of external control of our testing methods and we are in a constant professional exchange with our customers and partner laboratories. 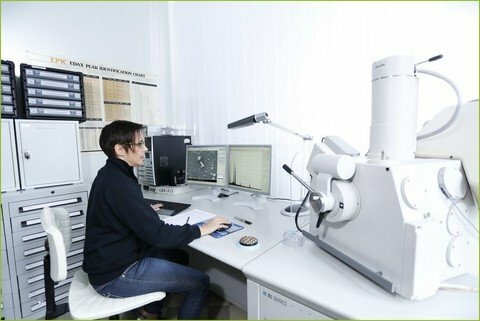 The determination of major and trace elements X-ray fluorescence analysis is an important element of quality control of oxidic raw and processed materials. 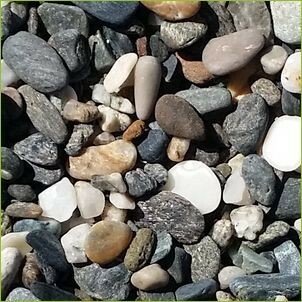 We supply reputable German and international partners from the refactory, glass, ceramics and cement industry with rapid, reliable and cost-effective analyses. 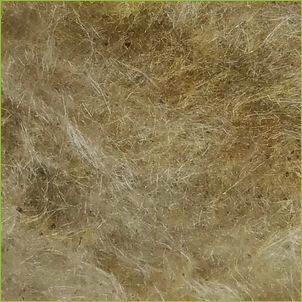 In the environmental field we offer you the analyses of so- called old artificial mineral wool, of wastes and residues as well as soils. 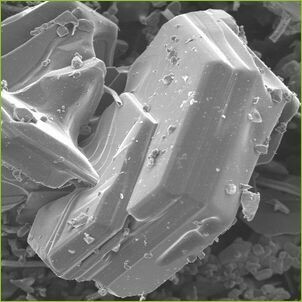 We analyse your samples for hazardous materials like asbestos or man made mineral fibres by means of high-resolution scanning electron microscopes according to relevant international and national standards and guidelines. Furthermore we provide solutions for a wide variety of scientific, technical and medical issues by means of image formation, X-Ray micro analysis and element mappings. Determination of carbon modifications TOC, TIC, TC, e.g. 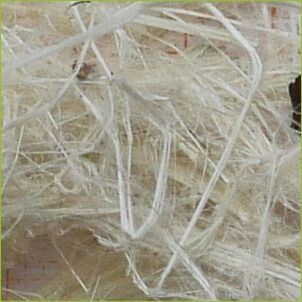 in soils and rocks, oxidic raw materials and products, carbides. Gravimetric procedures for the determination of apparent density, porosity, loss on ignition as well as sieving methods to determine grain size.